Loyola University Chicago retained it’s rank as the 99th best college in the country in the latest U.S. News and World Report rankings, released Tuesday. Loyola topped DePaul University, Illinois State University, the University of Illinois at Chicago and other Illinois schools in the 2017 Best Colleges list by U.S. News & World Report. 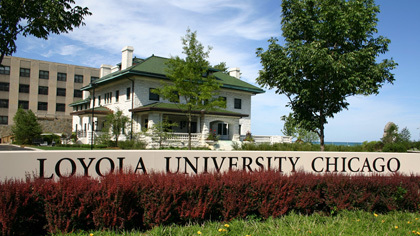 Loyola broke through the top 100 last year, ranking No. 99. The University of Chicago ranked No. 3, Northwestern University No. 12 and University of Illinois at Urbana-Champaign No. 44. DePaul ranked No. 124 and the Illinois Institute of Technology No. 103. The U.S. News rankings focus on academic excellence, with schools ranked on up to 15 measures of academic quality. Overall, the rankings emphasize student outcomes – including graduation and retention rates – which carry the most weight at 30 percent, according to a news release. School profiles include specifics on academic life, financial aid, student body makeup and more. Students can research schools with the most Economic Diversity and Campus Ethnic Diversity, as well as the Most International Students, according to the news release. The new Clarke’s at Loyola. There’s another new dining option at Loyola University Chicago’s Lake Shore Campus, as Clarke’s Diner recently opened. Clarke’s had its grand opening on July 8 in Granada Center at 6431 N. Sheridan Road. Clarke’s and might seem familiar to local customers. A Clarke’s Diner had previously been in business on Belmont Avenue but was shut down in April 2015. 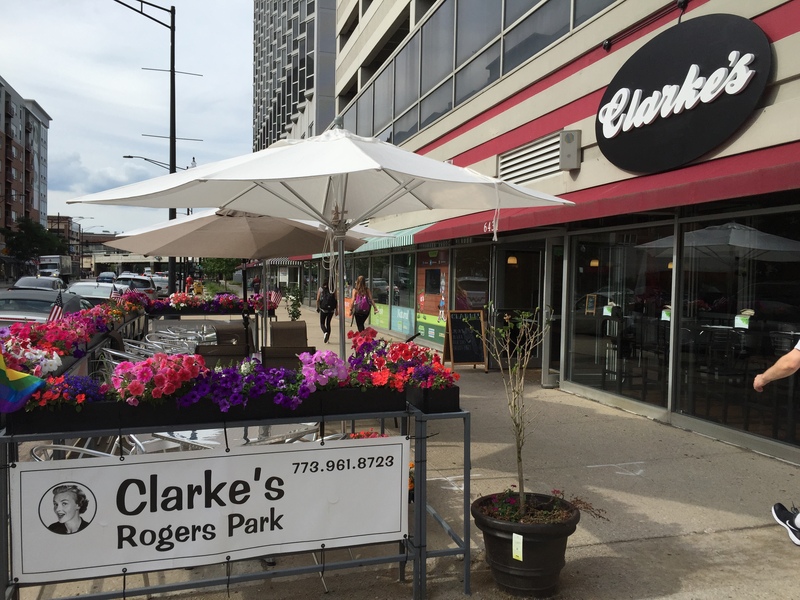 Although Clarke’s on Rogers Park is not yet open 24-hours a day just yet, the diner will begin its signature all day service when the restaurant becomes more established. According to Michaelson, extended service should begin by the time the fall semester begins. For now, patrons can still utilize the diner’s breakfast, lunch and dinner menus. All Loyola students get a 10 percent discount at Clarke’s if they show a student ID. Loyola University Chicago hosted the Hugh O’Brien Youth Leadership (HOBY) World Leadership Congress July 23-30. The program brings 405 students, from 16 different countries to the Lake Shore Campus for a week of leadership training and exercises that is largely based on community service. HOBY was established in 1958 by Hugh O’Brien and since then has runs multiple conferences and seminars each year. Currently, HOBY has over 9,000 high school students that attend their seminars each year. During the week students traveled to Humboldt park to clean up and mulch the area. According to the Chicago Park District, it was the largest student service project ever in a Chicago Park. HOBY students also participated in the Feeding Children Everywhere Initiative and packed 89,000 meals for the Chicago Public Schools free meal program. “We just hope that HOBY inspires them to believe more, do more and act more than they previously thought possible,” said La Fianza. Among the international students to attend the World Leadership Conference was a group of ten students from Turkey. Students entered the program only eight days after the failed military coup within their country. HOBY Chief International Programs Officer, Cheryl Brennan is impressed with the determination of the students to attend the program even such an event. These students from Turkey will join the more than 40,000 alumni that have gone through the program. HOBY will hold similar seminars throughout the year for local and international students. A Loyola University Chicago student was robbed at gunpoint Wednesday evening while she was walking near the school’s Lake Shore Campus in Rogers Park. The student was uninjured and police are searching for the suspect. The Department of Campus Safety is writing to notify you of a report of an armed robbery on Wednesday evening near the Lake Shore Campus. A Loyola student reported to Campus Safety that she was approached near the intersection of Magnolia and Arthur, around 8:30 p.m., by a man who displayed a gun and demanded her iPhone. The offender fled the scene quickly and the student was not injured. The offender is described as a male, approximately 5’8”, and 18 to 22 years old. He was last seen wearing a dark gray hooded sweatshirt with stripes. If anyone has information regarding this incident, please call Campus Safety at 773.508.6039 or the Chicago Police Department via 9-1-1 or 312.744.8263. If a person threatens you with a weapon, follow his or her demands and run away as soon as it is safe to do so. Once in a safe place, immediately notify Campus Safety or the Chicago Police Department. Investigative follow-up will be dependent on the amount of detail a person can recall. It is important to remember as many identifying characteristics about the offender(s) as possible. This can include physical characteristics of the person, clothing, any weapons used, direction of flight, etc. Wednesday night marked the second week of CAPS Night Out, an event held simultaneously in Buttercup Park and at Swift School. The event, hosted by the 48th Ward, the Chicago Police Department and the Chicago Park District, began last summer at Swift School, on 5900 N Winthrop Avenue. After positive feedback from the community, the event expanded to Buttercup Park for this summer. Last week, in its inaugural night, CAPS night out in Buttercup Park hosted more than 200 people. CAPS night out looks to bring children of all ages into the park. They have food and games set up for kids to participate in. Buttercup Park, located near the corner of Sheridan Road and Argyle Avenue, was built four years ago. It is a multidimensional park with a playground, basketball court and a small water park. Golden-Smiley is involved with Buttercup park beyond CAPS Night Out. Along with working for the Alderman, she also the president of the Buttercup Park Advisory Council. Along with CAPS night out, Buttercup will host a variety of events that are open to the community. This Saturday, the park will host music and dancing as a part of Uptown Saturday Nights. The park also hosts movie night two Friday’s a month during the summer. Loyola University Chicago students are setting their sights on a new department store: Target. Talks are underway to build a Target department store near Loyola’s Lake Shore Campus in Rogers Park. Alderman Joe Moore , Ward 49, said in a recent news release that negotiations are ongoing between Chicago Housing Association and a contractor regarding property on the southwest corner of Sheridan Road and Devon Avenue. The Chicago Housing Authority owns the property and a 22-story senior citizen housing unit along with a community room and an outdoor green space occupy the lot. The proposal is to knock down the community room and green space to build another 120 unit apartment complex and a 35,000 square foot Target department store. The contracting company also plans to add a two story parking structure under the store. If the proposal were to go through, the Target would be located within short walking distance from most Loyola dorms. The prospect of having a department store so close to campus excites many students. There are already two Target stores within a few miles of the Loyola Lake Shore Campus. One is located southwest of campus on 2112 W. Peterson Ave. The other is located near the Wilson red line station at 4466 North Broadway St. Despite the proximity of the other Target stores, Schiable believes that having another Target in Rogers Park will only help students. Loyola University Chicago Campus Safety is warning students, staff and faculty about two recent assaults that took place near the school’s Water Tower Campus. The Department of Campus Safety is writing to notify you of two criminal incidents that occurred yesterday, June 29, on and near the Water Tower Campus.At approximately 8:15 p.m., a Loyola student was approached on campus near the Corboy Law Center by three boys between the ages of 8–12 selling candy out of large boxes. After asking the student a few questions, two of the boys surrounded and groped her. The victim then chased the offenders away from the scene. Separately, at 1:45 p.m. at the 100 block of East Delaware Place, a Loyola staff member was grabbed from behind by an offender who made threatening, sexual statements before the victim could free herself. The offender is described as male, approximately 5’8,” 150 pounds, with a clean-shaven face and dark complexion. He was last seen wearing green hospital scrubs and a t-shirt. Investigations for both incidents are ongoing. If anyone has information, please call Campus Safety at 773.508.6039 or the Chicago Police Department via 9-1-1 or 312.744.8263. Always stay alert and tuned in to your surroundings. Refrain from using headphones or talking on the phone, as this minimizes your ability to hear an approaching threat. Be wary of unsolicited strangers. If someone approaches you on the street, keep moving and try to avoid additional contact. If you see something you believe to be suspicious, immediately contact Campus Safety at 773.508.6039 or the Chicago Police Department via 9-1-1 or 312.744.8263. Investigative follow-up will be dependent on the amount of detail a person can recall. It is important to remember as many identifying characteristics about the offender(s) as possible. This can include physical characteristics of the person, their clothing, any weapons used, direction of flight, etc. Loyola University Chicago hosted a vigil honoring the victims of the Orlando shooting. Loyola Campus Ministry partnered with ‌the Department of Student Diversity and Multicultural Affairs to organize the vigil, which was hosted in the Damen Student Center Cinema. The service included general prayer, readings from the Bible and the Quran as well as an El Salvadorian, Jesuit memorial reading. The vigil was in response to the shootings at Pulse nightclub in Orlando during the early morning of June 13. There were 49 people killed in the shooting and 53 more that were injured. It was the most violent mass shooting in the history of the United States. The vigil was not only a time to come together and grieve but also a call to action. Campus Ministry and the Loyola Wellness Center are offering support for all students coping with the shooting. An 18-year-old woman, who had been reported as missing from her Rogers Park home for eight days, has been located. 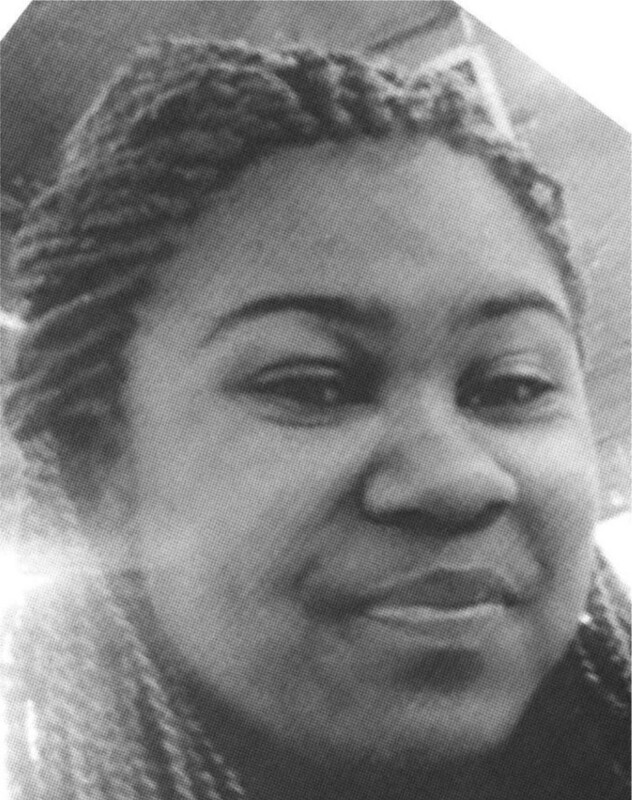 Darnesha Smith, of the 6200 block of N. Francisco Ave., had been reported missing by Chicago Police since June 7. According to a Chicago Police Department press release, she was located on June 15. A Tuesday morning lockdown has been lifted at Loyola University Chicago’s Medical Center in Maywood after it was determined that a suspicious package posed no danger. Local law enforcement officials have lifted the lockdown at the Medical Center and Health Sciences Campus after completing an investigation of a suspicious package found in a stairwell of Parking Deck A. Activities on the Medical Center and Health Sciences Campus may resume as normal. Even though no threat was determined, as per standard protocol, law enforcement officials will remain on the Medical Center and Health Sciences Campus with dogs to continue a complete search of the area. Thank you to everyone for remaining calm and vigilant throughout this situation in Maywood.